Whew! It’s been a full month. It’s hard to believe tomorrow’s JUNE! 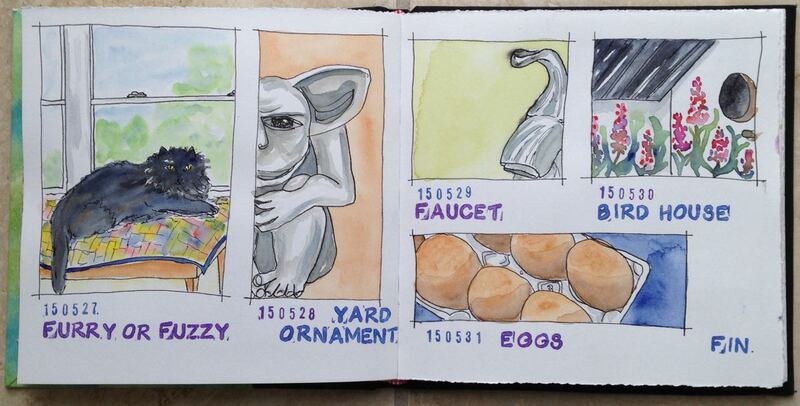 This entry was posted in EDiM2015 and tagged Bird house, EDiM, Eggs, Faucet, Furry, ink and wash, Watercolor, Yard Ornament by Dana Burrell. Bookmark the permalink. So fun to see different treatments of the prompts. I did see Rebecca’s (The Painted Pear) and now yours. Lovely style you have, too.